Wilkie John Liquorish may be a young man, but he’s no greenhorn. So far in his short, hard life, he’s dug graves, driven cattle, and nearly dangled from the end of a hangman’s noose – no thanks to his ungentlemanly enemy, Gentleman Jack Delaney. Now Wilkie’s been newly deputized as a Texas Ranger – and the real fun begins . . .
At Fort Concho, Wilkie John receives word that a bounty hunter is tracking the notorious outlaw known as Phantom Bill. Wilkie John has every reason to join the party: duty, honor, redemption, maybe even fortune and fame. But he has one reason to be wary: the bounty hunter is Gentleman Jack. He tried to kill Wilkie John once. This time, he might succeed . . . The opening chapter to this, the second Wilkie John western, starts with Wilkie discovering bones in the desert and it looks like Wilkie will soon be dead too. The second chapter goes back in time and most of the book is taken up with telling the story of how Wilkie gets into the situation we first find him in. Told in the first person through Wilkie we share his thoughts behind his attempts to solve the mystery of the identity of Phantom Bill which soon become entwined with the destruction of a train in the middle of nowhere and the killing of a woman and her child. Is the same person behind it all or are there two killers at work and what is the motives behind the possible assassinations? Wilkie’s relationship with Gentleman Jack is well written, you can almost feel the tension whenever they are together. At anytime you are expecting one to try and kill the other. A couple of storylines are carried over from the previous book but Tim Bryant explains enough about them for readers who’ve yet to read A World of Hurt. The book contains a lot of dark humour too, some which had me laughing out loud, such as the soup incident – I can’t say any more about that without spoiling it for those intending to read this book. Wilkie is still prone to shooting anyone who annoys him without warning making him a somewhat unpredictable character which is one of the reasons I’ve enjoyed reading both books so much. Everything comes to a neat conclusion, but once more there is a plot thread left dangling which I hope means there will be a third book sometime soon. 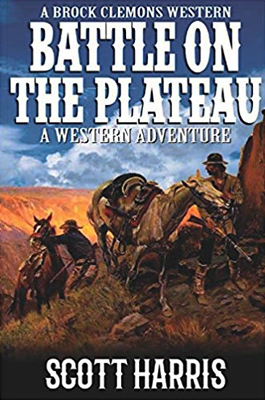 Both Wilkie John westerns provide first class entertainment and should be on every western fans reading list. Brock, Sophie and Huck leave Dry Springs and head towards the Grand Canyon, taking with them Sophie’s father, Ray, and the young girl, Annabelle who they’ve kidnapped from an orphanage. Guided by a man called Fieldy, the small group will have to face the natural dangers of the trail and those from vicious and vengeful Paiutes. Scott Harris continues the adventures of Brock Clemons and his family that first appeared in what is known as the Dry Springs trilogy. This fourth book is the first in the new Grand Canyon trilogy and is a must read for those who read the earlier books. You don’t need to have read the previous books to enjoy this one as the author includes enough information to fill new readers in on what has gone before, in fact a few chapters tell of what is happening to the people left back in Dry Springs. Told through many points of view the story moves at a swift pace towards its gripping finale. Action scenes are well described as are descriptions of landscapes. New friendships are formed, one in particular leading to heartbreak which is sensitively handled by the author and will probably have readers thinking back to similar events in their own lives. Scott Harris doesn’t hold back in dishing out the hurt or killing off some of the main characters and also includes a couple of other surprises to ensure the reader keeps turning the pages. After the final words I’ve certainly been left wondering what will happen next to the survivors so am looking forward to the next book. 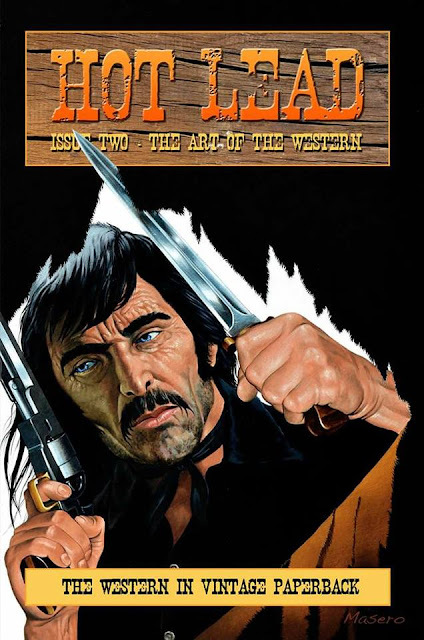 Issue two of Hot Lead, a hard-copy western fanzine is now available through Amazon. Inside you'll find 70 pages exploring the art of the western starting with Paul Bishop looking at the cover art, the novelization by Harry Whittington, and the film of Charro! (the latter of which starred Elvis Presley). Next is an interview with cover artist Tony Masero by Steve Myall. Tony's work also graces the cover of this issue of Hot Lead. Jim O'Brien delves into the western comics of Frank Bellamy and this is followed by Andreas Decker's fascinating article about the German series Ronco. The magazine closes with a look at the history of the western comic strip by Paul Bishop. Once again it's a beautifully designed magazine that features many illustrations reproduced in full colour. Justin Marriott has once again produced a fanzine that should be on every western fans reading list. Way back in 1980 the first issue of a magazine appeared on the shelves of UK shops simply called Western Magazine. Sadly, it only lasted for four issues. The consultants for this being David Whitehead and Mike Stotter, the two men who today run Piccadilly Publishing and have now launched a new magazine. 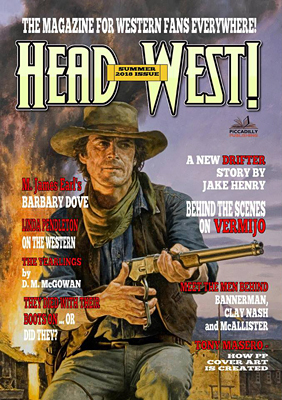 Like the much-lamented Western Magazine Head West features a mix of articles, interviews and original fiction. 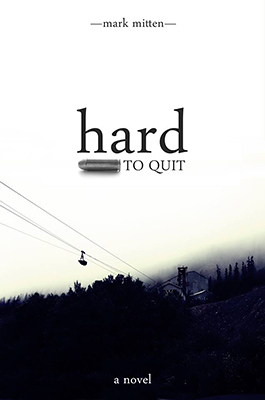 Head West has a full glossy cover with everything inside being reproduced in black and white. For me, the interviews make for superb reading as they feature two of my favourite all-time western authors, namely Keith Hetherington - who writes under a variety of pseudonyms including Kirk Hamilton and Brett Waring - and Peter Watts whose most well-known pen-name is Matt Chisholm. Original stories come from D.M. McGowen, Jake Henry and new-comer M. James Earl. Henry’s story features his character known as The Drifter and Earl’s being the first published tale about his heroine Barbary Dove. All three of these tales proved to be very entertaining reads. With an article by Tony Masero on creating cover art, another looking at the making of the film Vermijo along with Linda Pendleton remembering her fathers love for the western, this is a magazine that deserves to be successful. In a boom camp like Creede, most people want to get rich either mining silver or playing cards. LG and Davis have a different plan -- sell beef. Fighting the bitter temperatures and the winter storms of the Colorado high country, they string wire and bring in cattle. But there are things more dangerous than the weather. Having run out of luck and out of Denver, con man Soapy Smith brings his gang up to Creede to start over. His vision of success if different than anyone else's, and it involves rigging the odds in his favour. No matter who it affects, or how far he must reach. 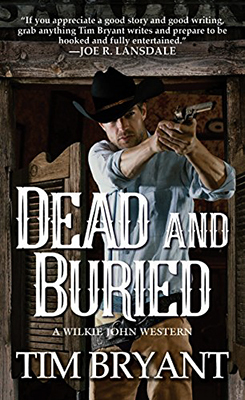 Bringing back a couple of characters from his previous western, Sipping Whiskey in a Shallow Grave, Mark Mitten once again tangles their storyline with a number of others that are all seemingly unconnected to begin with. Mitten also includes flashbacks to tell of Horace Tabor’s rise to fortune. Nearly all chapter’s switch between the various characters, this technique urging you to continue reading to find out what happens next to these people. I’ve already mentioned Horace Tabor, aka The Silver King, and he isn’t the only real-life person Mitten brings into this fast-paced story for his fictional characters to deal with, there is also Jefferson “Soapy” Smith and includes his prize package soap racket that earnt him is nickname of Soapy. Bat Masterson and Bob Ford have major roles to play and Mitten tells of the factual events involving their lives in Creede truthfully and entertainingly. Another storyline follows Kahopi, a Hopi native, searching for his father and the trail leading to the discovery of the man he believes to be this man is a fascinating as any other story-thread the book contains. Although this book does contain some gun-play it is more about greed and the political or bullying tactics the various characters try to use for financial game and these are the elements of the tale that really grabbed my attention and pulled me into the story, gripping material indeed. Mark Mitten thoughtfully includes a basic character list at the beginning of the book and a much more complete one at the end. This book has been shortlisted as a finalist for Best Western Novel in the 8th annual Peacemaker Awards.